Guest on Fox 26 talking #SB51 parties and a repost by Diddy! I was a guest host on Fox 26's Isiah Factor talking about Super Bowl parties and what to expect during the big game ... to my surprise P. Diddy re-instagramed my segment. Check it out below! 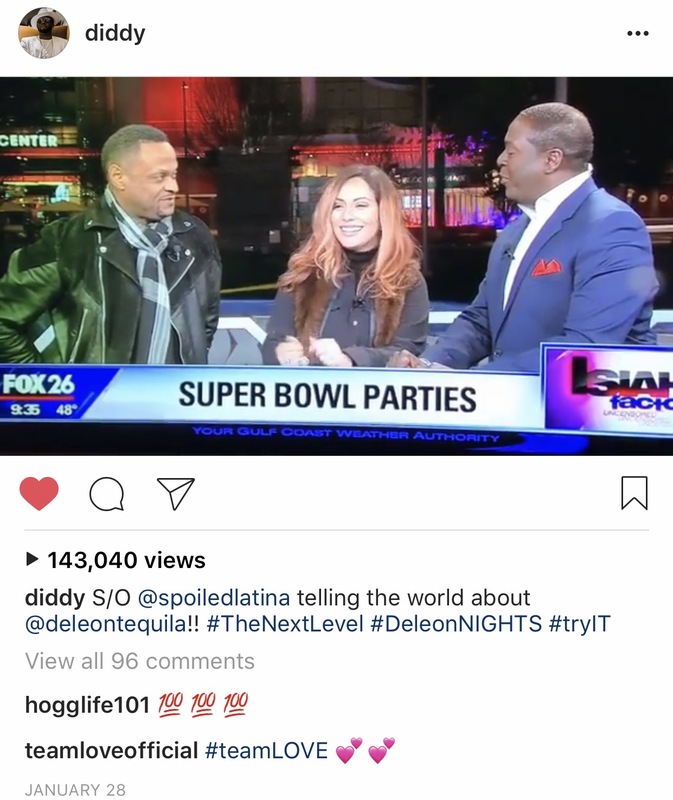 Many of you know I am the Lifestyle Specialist for Diddy's new tequila Deleon, and to be recognized and reposted means a lot!